Anyone that is burdened with a whole load of personal debt will know just what a negative impact this can have on life. Naturally, you don’t want to be carrying around the burden of debt for years to come but at the same time, you may not be in a financial position to pay if off any quicker. Dealing with debt on a long-term basis can have a negative impact on everything from your mental and physical health through to your relationships, productivity at work, and overall quality of life. 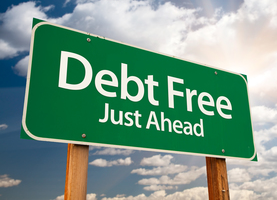 This is why you need to look at ways in which you may be able to expedite paying off your debt so you can start enjoying a more stress-free life. Cut back on going out: Some people spend a fortune on going out, but there are ways of enjoying entertainment far more cheaply. This then leaves you with more money to throw at your debts. For example, rather than paying a fortune for a meal out at a posh restaurant with your partner, enjoy a home cooked meal by candlelight to create an intimate and romantic atmosphere. If you enjoy watching movies, don’t pay ticket prices at the theater. Instead, use live streaming sites and movie sites to enjoy a huge variety of content free of charge. Rent out a room: If you have a large house, you can consider renting out a spare room. There are always people on the lookout for affordable rentals, particularly if you are located near to facilities such as universities or hospitals. If you have items in the room that you want to rent out, you can find storage units in which you can stash these for as long as you need to. The cost of paying storage costs will be more than covered by the rent you receive. You can then put the money from the rent towards paying off your debt. Consider consolidating: If you have a lot of unsecured debts with high rates of interest, such as credit cards and high-interest loans, you may want to consider debt consolidation loans. If you can find a low cost consolidation loan and pay off all of the high-interest debts, you will reduce the amount you have to pay on your borrowing. In addition, you will only have to deal with one creditor, which makes household budgeting more manageable. Earn a second income: For those who already work, there is the option of earning a second income with another job. You can find a second job working for a company at weekends or in the evening. You can also consider doing something part-time on a freelance basis, as this means that you can work from home. There are various options to consider when it comes to paying off your debts more quickly, so it is well worth looking at the ones that could prove suitable for you.